Oklahoma Connection | Vaught came to Oklahoma City, Oklahoma as a high school principal in 1901. Judge Edgar Vaught was a member of the commission that arranged the Oklahoma exhibit at the World’s Fair in St. Louis in 1903 and 1904. Born in Virginia in 1873, Edgar Sullins Vaught moved with his family to Tennessee in 1888 and graduated from Carson and Newman College in 1899. He served as superintendent of schools in the area until 1901, when he applied and was accepted as principal of Oklahoma City’s Irving High School. He then became superintendent of Oklahoma City public schools in 1902. He was admitted to the Oklahoma Territorial Bar in 1905 and went into private practice. He was a delegate to the Republican National Convention in 1924. 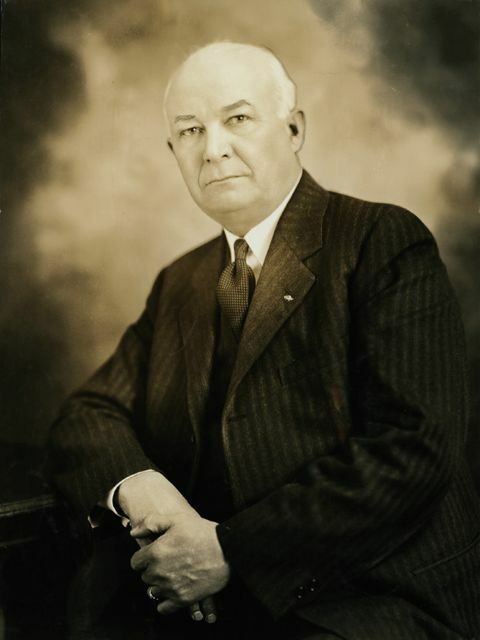 In 1928 U.S. President Calvin Coolidge appointed Vaught as district judge of the Western District of Oklahoma, and he served in that role until his retirement in 1956. Active in civic and church affairs throughout his life, Judge Vaught was honored by St. Luke’s United Methodist Church in Oklahoma City in 1959 when he was named St. Luke’s Man of the Half Century.